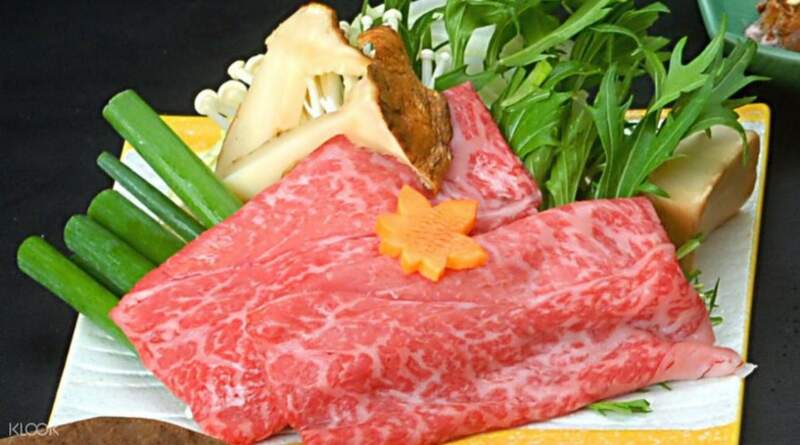 Try Mie Prefecture’s world-famous dish, steamed Matsusaka beef! Take this day trip from Osaka to experience some of the best that Japan has to offer. Your journey begins with a delicious lunch of steamed Matsusaka beef. This premium, ‘meat piece of art’ is famous for being incredibly tender thanks to the meticulous feeding and raising of the cows. This will sufficiently energize you for some strawberry hunting at Tsuchiguchi Farm, where you can pick and eat as much strawberries as you can. Shop for dessert at Aqua Ignis Ryokan, which is just as popular for its hot springs as it is for its wide variety of pastries and other delectable sweets. After your appetite is fully satiated, it’s time to do a bit of shopping. 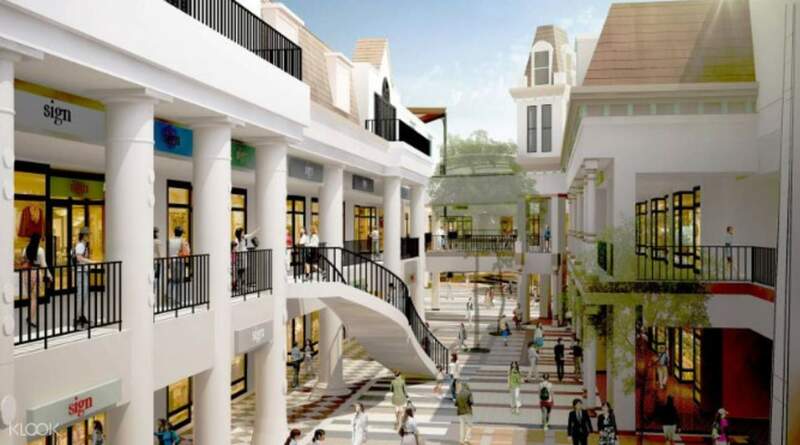 You’ll surely lose track of time shopping at Mitsui Outlet Park Jazz Dream Nagashima, Japan’s largest outlet mall. Go through over 302 stores in this mall lit almost entirely by natural lighting. Before you head back to your drop off location in Umeda, you’ll visit the Greenhouse Begonia Garden and witness the dazzling illumination in Nabana no Sato. See the illumination side by side with the greenhouse’s otherworldly display of begonias, and you’ll have a truly memorable and colorful night. The sights, sounds, and flavors will definitely stay with you, even as you’re on your way home aboard the inclusive round trip bus service. Two thumbs up for this tour! Even if I was travelling with locals, the tour guide went out of her way to explain to me the instructions in English. The experience was definitely worth it! Two thumbs up for this tour! Even if I was travelling with locals, the tour guide went out of her way to explain to me the instructions in English. The experience was definitely worth it! it's a nice experience just that u have to take note of your time to have dinner. As dinner isn't provided and it's included in the shopping and flower viewing time . other than that, everything was nice. The guide tried to translate the important messages with Google translate and that helped. 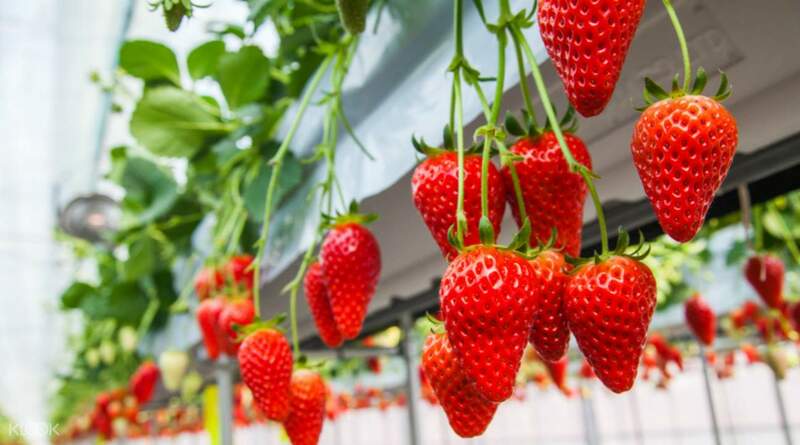 For the strawberry farm part, it's good to check with the guide the type that they recommend for that season. it's a nice experience just that u have to take note of your time to have dinner. As dinner isn't provided and it's included in the shopping and flower viewing time . other than that, everything was nice. The guide tried to translate the important messages with Google translate and that helped. For the strawberry farm part, it's good to check with the guide the type that they recommend for that season. 1st stop was lunch but beef was not eat all you can as stated. 2nd stop was the strawberry picking and it was great! We took a lot of pictures and ate 8 different variety of strawberry, all we want! 3rd stop was the mitsui outlet, we got good deals, too! Last stop was the naba no sato, its the highlight of our trip because of the sakura blooming! Illuminations were great, too! Highly recommend this tour. 1st stop was lunch but beef was not eat all you can as stated. 2nd stop was the strawberry picking and it was great! We took a lot of pictures and ate 8 different variety of strawberry, all we want! 3rd stop was the mitsui outlet, we got good deals, too! Last stop was the naba no sato, its the highlight of our trip because of the sakura blooming! Illuminations were great, too! Highly recommend this tour. Itinerary was well planned and the different experiences from the strawberry picking to the illumination garden was perfect. Itinerary was well planned and the different experiences from the strawberry picking to the illumination garden was perfect. The tour is in Japanese and they were no translations whatsoever although it says ipads are provided for Chinese and English speaking guests. So the nonJapanese guests would feel a bit left out. Lunch was okay, we did expect something like the photo though. Otherwise, the tour and time schedules were followed and everything went smoothly. The tour is in Japanese and they were no translations whatsoever although it says ipads are provided for Chinese and English speaking guests. So the nonJapanese guests would feel a bit left out. Lunch was okay, we did expect something like the photo though. Otherwise, the tour and time schedules were followed and everything went smoothly. The tour was well planned and went through on the dot without any hassles. The tour guide (Aoki) though had difficulty in speaking english but we were able to go along with it coz he was very helpful and so fatherly nice. The light show at nabana no sato was simply spectacular and awesome. The tour was well planned and went through on the dot without any hassles. The tour guide (Aoki) though had difficulty in speaking english but we were able to go along with it coz he was very helpful and so fatherly nice. 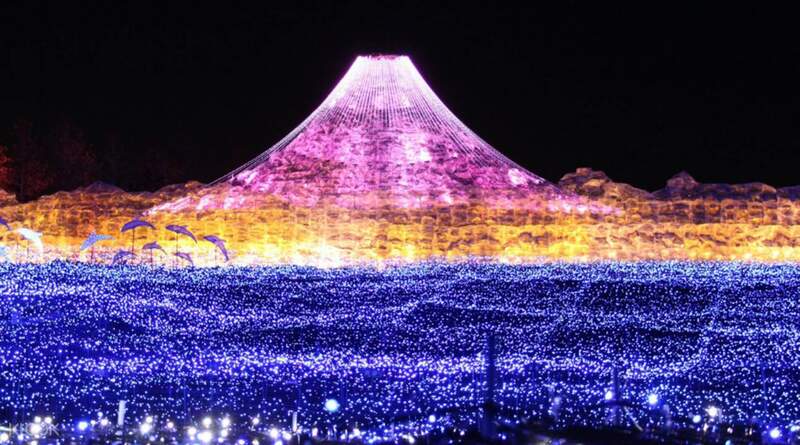 The light show at nabana no sato was simply spectacular and awesome. we enjoyed this trip. my son like the strawberry picking which we can eat a lot and the strawberry so juicy and sweet. The outlets shopping is good which we can buy many stuff with good value. if this trip can improve by English speaking tour will be good for our foreigners. we enjoyed this trip. my son like the strawberry picking which we can eat a lot and the strawberry so juicy and sweet. The outlets shopping is good which we can buy many stuff with good value. if this trip can improve by English speaking tour will be good for our foreigners. tour was in Japanese but the guide did provide simple instructions in English which made it easier. the tour itself was amazing. tour was in Japanese but the guide did provide simple instructions in English which made it easier. the tour itself was amazing. It was a great tour. However just a note that this is actually a tour in Japanese, instead of an English tour. It was a great tour. However just a note that this is actually a tour in Japanese, instead of an English tour.